The Greek Islands have retained a special place in our hearts since our very first holiday together on Zakynthos many moons ago when we discovered four things. The sea around them really was as turquoise as brochures suggested; squid didn’t have to be rubbery; you can’t beat a harbourside taverna for romantic dining; and the Greek sun is fierce and unrelenting. Over the course of the following years we racked up five other Greek Islands – Corfu, Rhodes (a few times), Samos, Symi and Lesbos. But not Crete. When the opportunity came to spend three weeks walking across the west of Crete we jumped at the chance to return to a part of the world which had been our first travel love. Walking across a surprisingly lush Cretan countryside where a blurred fusion of history and mythology accompanied our steps was a revelation which made us realise that all other previous Greek forays had been mere grazes on the skin. 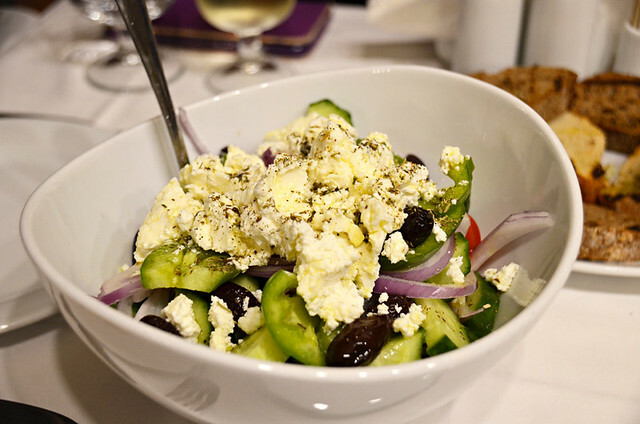 The ingredients we encountered along our route were as varied and delicious as a tray of mezes. It’s a Shirley Valentine cliché. But try sitting at a rickety table beside a tiny Greek harbour populated by bobbing blue fishing boats (cliché number two) whilst the sun sensually seduces your face without a) sighing or b) beaming like a cat with cream-stained whiskers. It’s simply not possible. 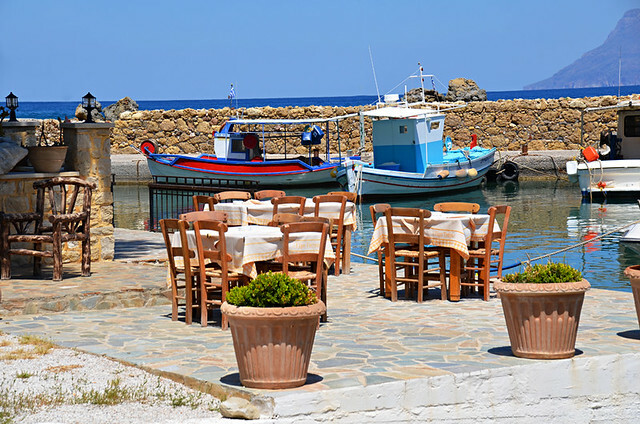 Picturesque harbourside tavernas aren’t uncommon on Crete. 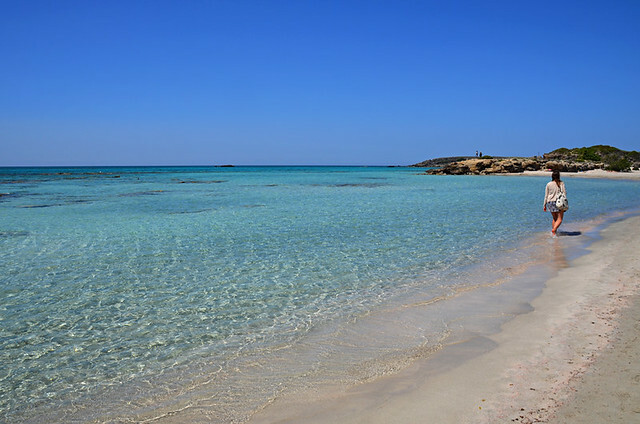 A couple which proved irresistible to us were the one pictured which was just outside Kissamos, and the even more charming Captain Nikolas Taverna located on long and golden Falassarna beach. 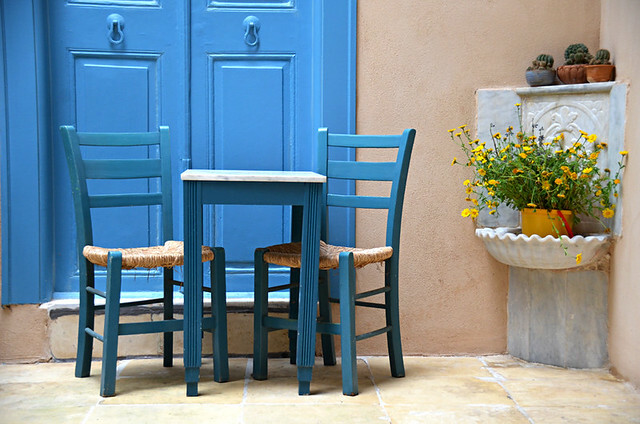 Anyone who’s been to Greece will know exactly what someone means when they describe something as being Greek blue. Door and window frames, furniture, domed ceilings, fences, pots and pans reflect the intensity of the colours in both sky and sea. Throw in whitewashed walls and perky red geraniums in a rusty olive oil can and you’ve got the sort of scene which launched a thousand postcards. Chania, Xania or is it Hania (the way it’s pronounced)? The spelling of place names can be flexible on Crete. The Venetian harbour at Chania, Crete’s second largest town, is elegantly stunning in its own right. Throw in a backdrop of the snow-clad White Mountains, which look as though they’ve been beamed in from another location, and you have something uniquely sensational. 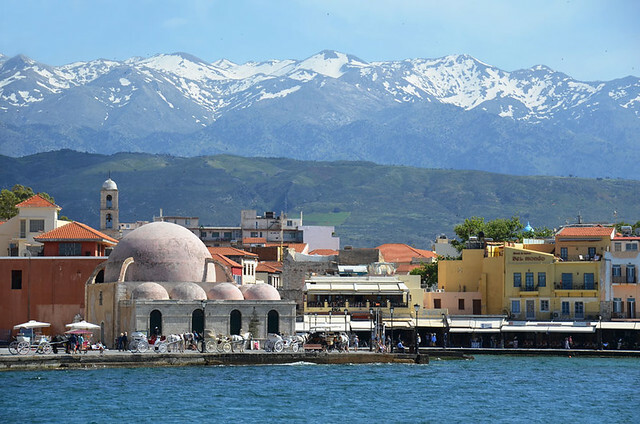 We did not expect to see snow on Crete in May. I’d forgotten just how intensely perfumed the Greek Islands are. 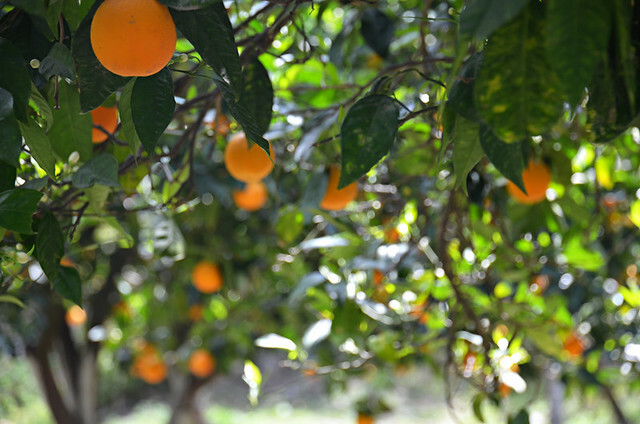 Intoxicating scents fill the countryside, the most overwhelming being orange blossom; a happy natural drug if ever there was one. The only problem is walking with nostrils flaring trying to breathe in every aroma can make you look a bit like a mad horse. 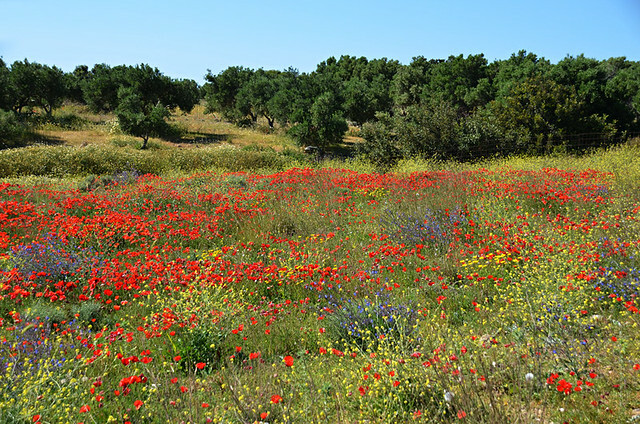 Accompanying the perfumed air in late April/early May are oceans of wild flowers, flooding the land with scarlet, violet and sunburst yellow explosions of colour. Nearly matching the island’s floral displays for vibrant colour schemes are Greek salads, an almost compulsory start to most meals on Crete. I lost count of the number we ploughed our way through over the course of three weeks, our buds never tiring of the fresh and fabulous mix of juicy tomato, salty feta, sharp red onion, bitter olives, summery cucumber and aromatic oregano. Portions are such they make main courses redundant. One of the more sobering aspects of hoofing it across rolling Cretan hills is the past feels surprisingly close at hand. There’s a sense of being in touching distance of an era of legends and a sophisticated civilisation which made our current one seem primitive. Elegant ancient Greek towns now in ruins and hidden by long grasses as well as remote beaches which are strewn with fragments of marble columns, once part of noble households, are a reminder the world we know can be a transitory one. 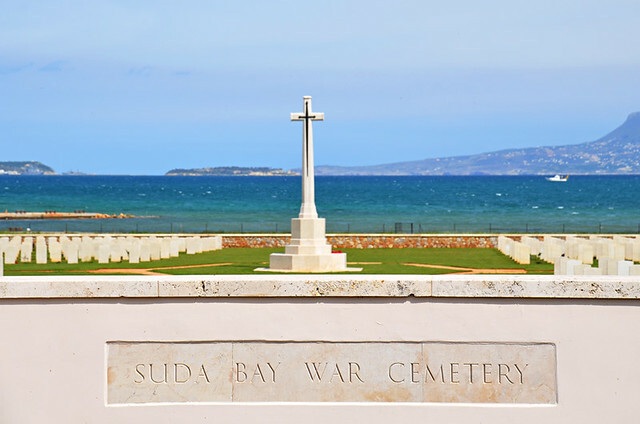 Most evocative of all are Crete’s war cemeteries, the last resting places of far too many young men whose experience of adulthood was tragically brief and dark. 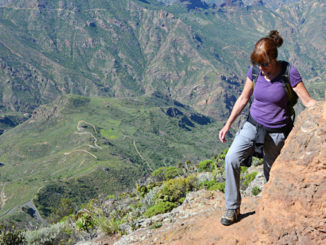 Every trail we walked had one sound in common, the gentle clanging of goat bells. Sometimes they’d stampede across our path, at other times they watched us with that goaty bemused expression. On occasions they’d mirror our progress from higher up the hill, following us like a watchful tribe. But mostly the bell owners would be perched precariously in lofty positions where something with a cloven hoof had no right to be. 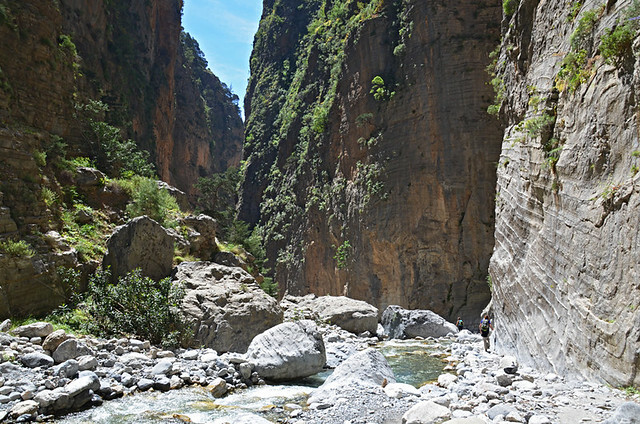 We notched up six gorge walks ranging from a short route beside a gurgling stream, where vultures soared overhead and the only people we met were a Greek family paying their respects at a hermitage, to the Crete classic, the Samaria Gorge. 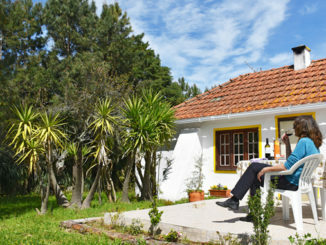 All were vastly different and offered immensely enjoyable walking. The one I looked forward to least was the Samaria as it’s reputed to have become so popular you’ll invariably share your experience with hundreds of other gorge walkers. As it happened we didn’t. 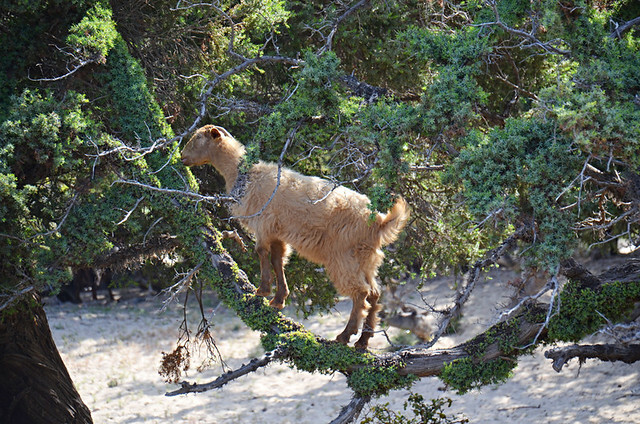 It turned out to be one of the walking highlights of our time on Crete. There’s a very good reason places like the Samaria Gorge become massively popular – they’re mindboggling beautiful. Before visiting Crete if you’d asked me to visualise walking in the Cretan countryside a dreamy image of strolling through dappled olive groves would have formed in my head. And so it came to pass. 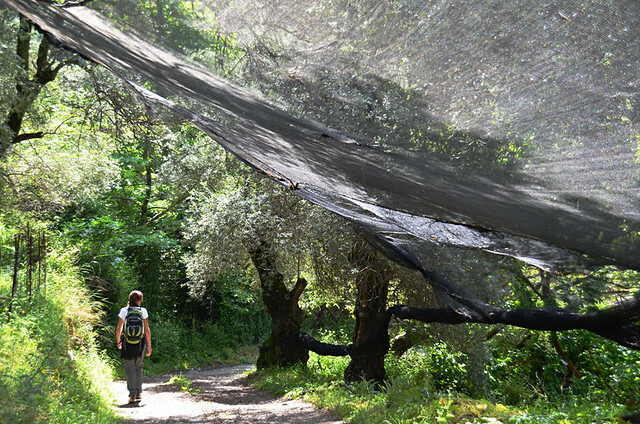 Walking through olive groves was a common feature, sometimes across black nets which obscured the path. My favourite olive grove scene was where the nets were suspended above the path on a trail leading from the hills to Paleochora, not a usual sight apparently. 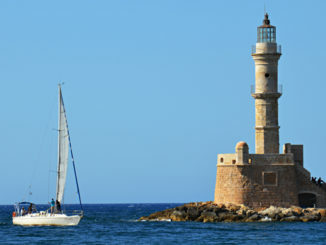 Quite a bit of our route involved traversing Crete’s south west coast and staying at small hotels along the way. This meant we were treated to some fiery sunsets. 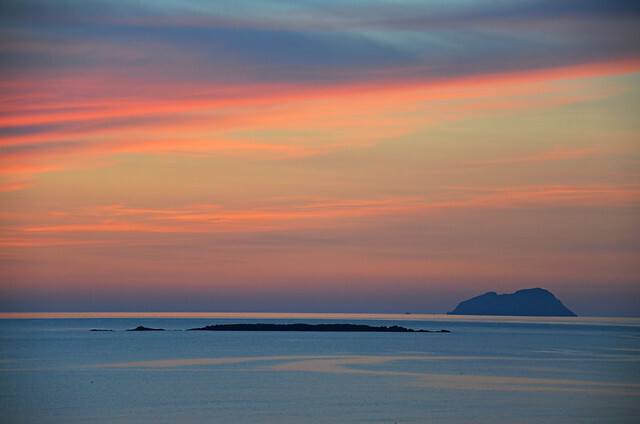 One waiter at a family run hotel in Falassarna joked spectacular sunsets there were so common there they’d become boring. At least I think he was joking. The sunset show which entranced me most didn’t involve the golden orb descending into a shimmering sea. It was softer, more like a painting, with pastel brush strokes filling the sky. On an island which is a massively popular holiday destination we didn’t expect to find deserted cove after deserted cove lapped by the sort of clear sapphire seas that make you want to tear off all your clothes and dive in. Although the temperature was sizzling, it was clearly too early in the season for some and even the likes of Falassarna was devoid of people. Many coves require effort to get to, involving a scramble of some kilometres across rocks to reach beaches which if Alex Garland had known about he wouldn’t have set ‘The Beach’ in Thailand. Which gorges did you walk? That probably was the nudist beach. I wondered if you had walked Deliana. Did you see the griffon vultures? They circle around near the start and are called ‘the guardians of the gorge’, because they see you in and see you out. ‘the guardians of the gorge’ I like that. We did see lots of vultures there, and a few in a couple of other places, but never close enough to get a decent photograph. Wonderful to see though.